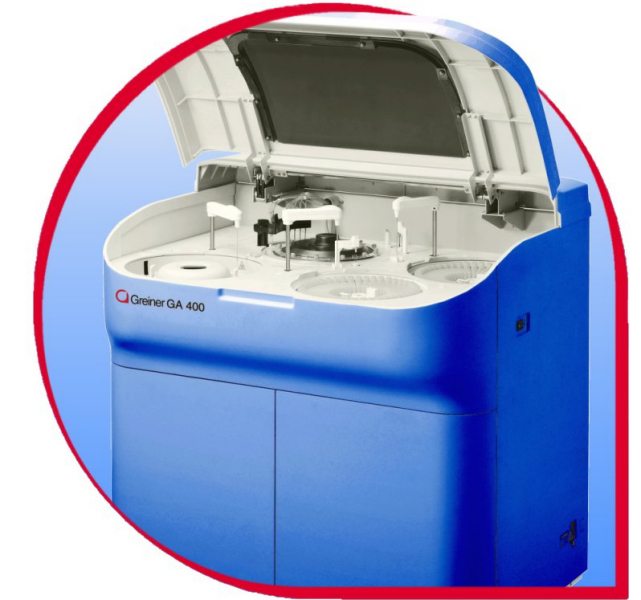 The Greiner GA 400 Auto-Chemistry Analyzer is a fully automated discrete computerized instrument for the Medical Diagnostic Lab. It is designed to improve daily work by saving labour time and costs. 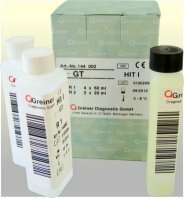 The GA400 analyzes body fluids i.e. serum/plasma, urine, ascites, cerebrospinal fluid… It contains a superior linear optical unit and high-precision pipetting mechanisms, providing a reagent-open function with up to four addable reagents per test, anti- cross-contamination functions and allows arithmetic combinations of tests to calculate compensated test results. 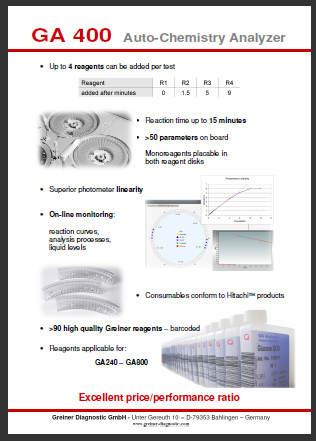 The instrument throughput is 400 tests/hour (600 tests/h if optional I.S.E is included), STAT results will be processed preferentially, and 88 on-board reagents can be stored refrigerated at 5-15°C. 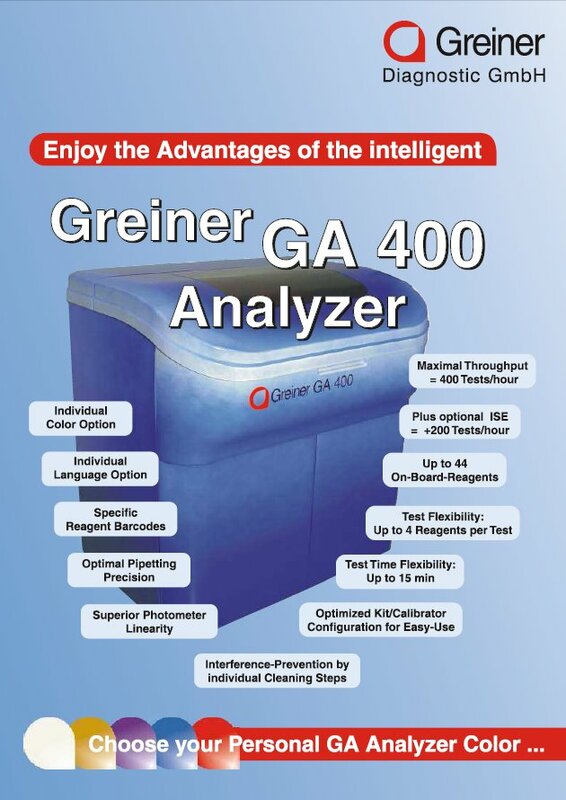 The analyzer will be delivered with a computer and pre-installed user friendly software, including the programming of all available Greiner Tests.